7 Responses to AT LAST Pope Benedict BREAKS HIS SILENCE, HE SPEAKS TO US WORDS THAT CAN STRENGTHEN OR FAITH AND HOPE. LET US PRAY FOR HIM AS HE GROWS PHYSICALLY MORE FRAIL BUT OBVIOUSLY RETAINS SHARPNESS OF INTELLECT. LET US HOPE THAT HE WILL CONTINUE TO SPEAK TO US. God Bless You Pope Benedict XVI a true servant of Christ. All I can say is that I am so grateful to have been born in the time of Saint John Paul II and Pope Benedict XVI, one day we will all know what they suffered. Pope Benedict XVI a great GIFT to the Church. Truly a humble servant of Christ. Spoken like a True Pope! This reflection does seem to echo the style and manner of development found in previous writings of the long career of Reverend, Bishop, Cardinal and then Pope Ratzinger. The last paragraph, however, thanking Pope Francis for ‘everything he does’ assuredly does not reflect the judgment of one who comprehends the present state of affairs nor the caliber of the man to whom he refers. Overall the analysis paints with a rather broad brush the past 50 plus years. 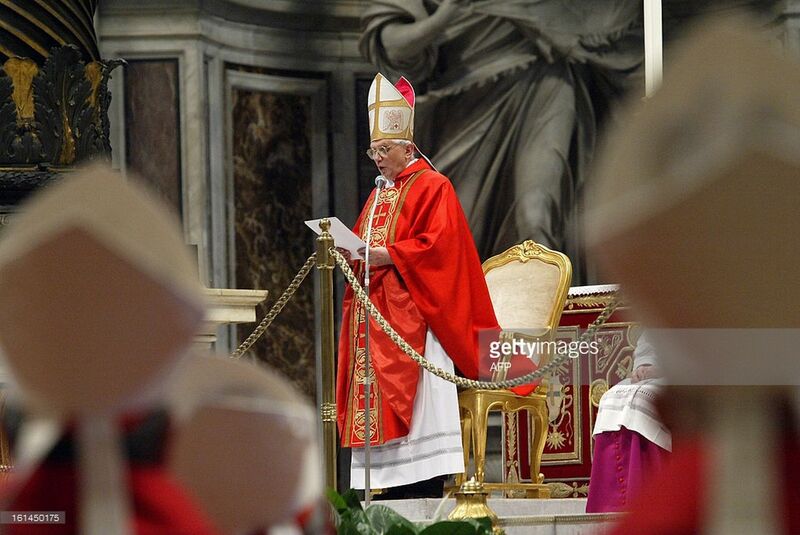 Should one blame the 1960’s for how Vatican ii not only was executed, but also implemented? It seems, rather, that those ‘fathers’ and ‘peritii’ at the Council who succumbed to the “Zeitgeist” are themselves alone for all those failures. Indeed, the very decadence and erosion that occurred in the 1960’s and prolonged itself long afterwards, arguably, was not the cause or necessarily the occasion for what occurred within the Church. Rather, it was what occurred within the Church through the agency of those very fathers and ‘peritii’ encouraged the auto-destruction of the Church and assured history that immoral forces of ideological globalist secularism might possibly prevail. Both, rightly, reacted negatively towards the sometimes distorted ‘Neo-Scholastic’ orientation within seminaries and other institutions. However, it is stunning that these advocates of what was supposed to be a plenary ‘ressourcement ‘ movement did not realize that their ignorance and suspicion, and even disdain for, say, the profound integrative and ordered principles, rationales and conclusions offered by authentic readings of Aquinas could have offered the Church the very living, integrative structural coherence it desperately needed in our age. Instead, both fathers and ‘peritii’ seem to have been lacking in any realism of what was unfolding before their very eyes concerning the Church and the surrounding world, and formlessness was permitted to prevail both within the Church and without. Thank you Holy Father Benedict. I consider Pope Benedict XVI’s (still reigning) health and vitality at age 91 a divine miracle. What he writes is the product of cooperation between the reigning Pope in his retained Munus of prayer and contemplation and God. This is what Popes do. And all true Catholics recognize it for what it is. So many Catholics make the mistake and think that government of the Church is the most important thing. No. Grace, channels of invisible Grace that flow down from heaven through the legitimate and active spiritual exercise of prayer and contemplation of God Almighty with His living Vicar. That. An imposter can govern. An imposter can *never* receive Grace from God as His earthly Vicar. This reads like a real Pope’s words ! Thank you Pope Emeritus Benedict XVI. Your words give light.